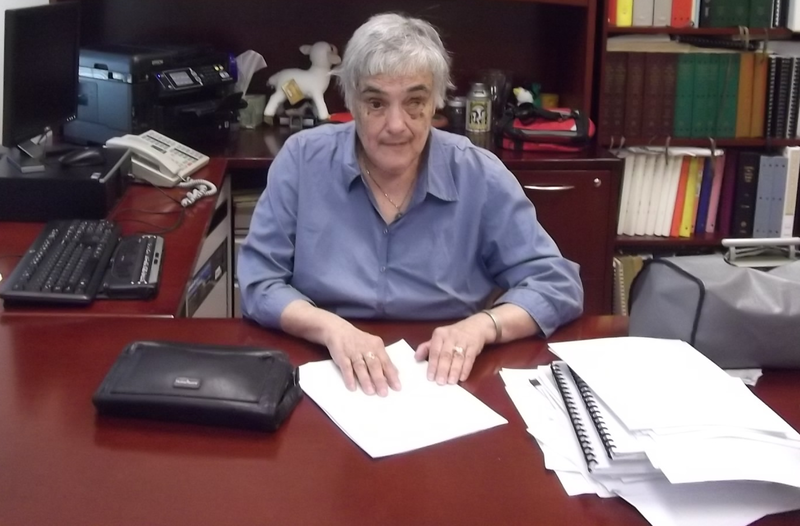 Image of Camille Caffarelli reading Braille in her office. Blind since birth, Camille Caffarelli realized, even as a child, that experiencing life through the cultural arts should not be limited to those who view them in traditional ways. So in 1977 she cofounded Horizons for the Blind, intent on providing a unique cultural experience for blind and visually impaired visitors to local museums, zoos, botanical gardens and other centers of culture. Her first opportunity came when the Chicago Botanic Gardens requested tactile maps, artwork and Braille signage for their nature trails. The success of this project was quickly followed by similar opportunities at the Shedd Aquarium, the Brookfield Zoo and the Chicago Field Museum …. and Horizons for the Blind was born. From the original staff of 2 volunteers, Camille now directs a staff of more than 50 employees, nearly 50 percent of whom are blind or visually impaired. Through her innovative work, the range of products and services now offered by Horizons, includes Braille, Large Print and Audio, billing and credit card statements, hotel directories, restaurant menus, newsletters and much more. Drawing from her own life experiences, Camille and her staff have produced a catalog of over 400 low-cost, accessible books and craft kits for the enjoyment of blind and visually impaired consumers. Books on topics ranging from cooking, gardening, household hints and medical tips to knitting, crocheting, poetry and books of historical interest. Throughout her career, Camille has been committed to partnering with national and state organizations which support the needs and interests of people who are blind or visually impaired. In addition to her current work with the Bureau of Blind Services, a division of the llinois Department of Human Resources, she has served on many advisory boards and committees. She has received numerous awards and frequent recognition for her work from national and state organizations and government leaders. Daniel F. Curran, Campion, Curran, Dunlop, Lamb & Cunabaugh P.C.